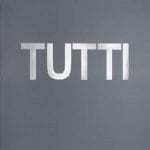 He writes about music in the hopes of delaying the inevitable as long as possible. 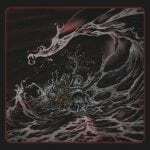 Primarily a reviewer of heavy music – particularly doom, heavy psych, stoner rock and post-metal – he’s also the kind of dilettante who’ll fling words at anything that can keep his attention long enough. He believes Mike Vest’s guitar tone will soon attract visitors from another galaxy wanting to know how we learned their language and that if you listen to the entire Grails back catalogue in the right order you’ll unlock the meaning of the universe and become infinitely powerful. A keen beard cultivator, amateur curry chef/brewer of ales and wannabe boxing aficionado, his music writing is collected at his blog ghost signals. 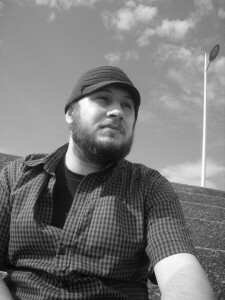 He also occasionally writes about videogames and has been known to attempt to write fiction. Alabama noise/drone/spoken word artists Clawing follow up their harrowing debut with the tale of an addict digging a hole. But it’s not as difficult a listen as it sounds – there are nuances and details to explore in Labour, a record rich with empathy that is in turns beautiful and savage. After a 4 year break Thou return with a grunge inflected doom/sludge album that’s imbued with as many graceful melodies as it is rib-cracking heavy riffs. 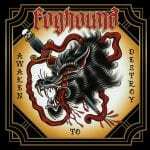 It’s a step above their already excellent earlier work and is in with a good shout at being the best heavy album 2018 has to offer. 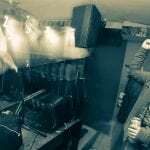 Since moving back to Wales in 2017 Rich Collins’ Cosmic Carnage shows has been a fixture of the booming Cardiff underground scene. We caught up with him ahead of the Cosmic Carnage and Lesson No. 1 stage at this weekends Hub festival to ask what he made of the Welsh capital ‘s scene, the state it’s in and what it has to look forward to. 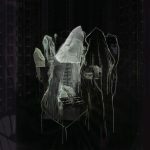 Polish trio Spaceslug complete their first trilogy of releases by stepping out from under the stoner rock tag and revelling in their post-metal and grunge influences for the most ambitious and impressive work so far. It feels more like a beginning than an ending. 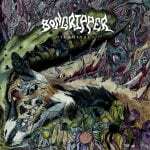 Over the past 12 years Bongripper have evolved into the platonic idea of a doom band – almost reprehensibly low & slow with tones that threaten to shatter tectonic plates. ‘Terminal’ is short on surprises but is their most refined effort to date, a masterclass in unbridled, concentrated heaviosity. 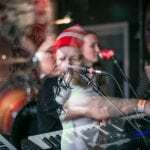 Womanby Street is not the be all and end all of alternative music in Cardiff but it is undeniably a truly special place and this event showcased what makes it so dear to the hearts of music fans in the city. It seems like it shouldn’t work but by golly it does. 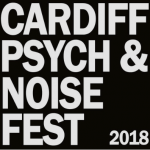 I doubt anyone left disappointed by the first Cardiff Psych and Noise Fest. 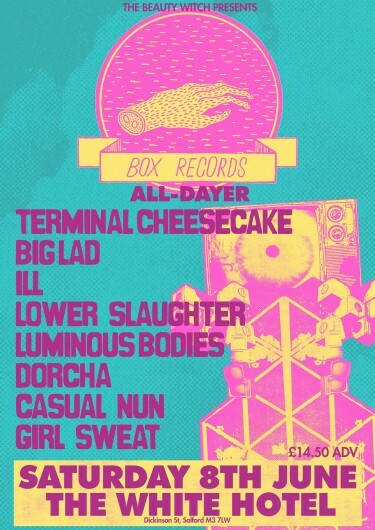 On the late May Bank Holiday Cardiff’s beloved Womanby Street will play host to some of the best noisy acts in the UK today, including Pigs Pigs Pigs Pigs Pigs Pigs Pigs, Part Chimp, Thought Forms, No Spill Blood, Ghold, Cattle and many more. We’ve dug through the line-up and picked out some expected highlights from what’s expected to be an insane weekend of sublime noise. 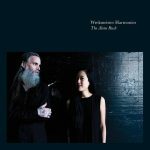 Wrekmeister Harmonies’ new album sees them playing against type, and against their own strengths, eschewing the shamanic bombast of their previous works to craft sombre ballads. 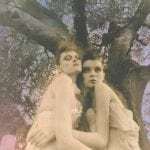 It’s closer to Nick Cave than to Swans and whilst they feel lovingly crafted they sadly fail to convince. 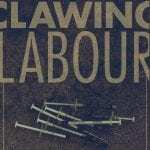 Clawing, the Alabama based industrial drone trio featuring spoken word artist Matt Finney, come as close as anyone to crafting horror in musical form. And not the horror of camp zombies and jump scares but gnawing, insidious horror that clings to your mind like dirt you can’t wash away. Vile Creature made some noise for their second album simply by existing, daring to play cruise-liner heavy doom whilst identifying as queer. 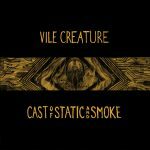 ‘Cast of Static and Smoke’, a post-apocalyptic concept album based on a self-penned short story, proves they’ve much more to offer than upsetting all the right people. Ore, aka Sam Underwood, is a ‘tuba doom’ project originally planned as a gift for his dying father. Given that genre label you might expect a mildly diverting novelty, and with that back story you may be wary of an unbearably heavy listen. Neither factor begins to tell the story contained within ‘Belatedly’. Gholds latest record – the first release from London records store Crypt of the Wizard – sees them take up residence in a Leeds Chapel. 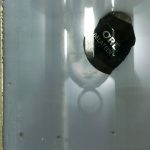 It’s not short on bluster and low end carnage – and surprisingly effective ambient noise – but struggles for definition. 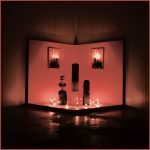 Belgium’s Charnia follow up their promising post-metal debut ‘Dageraad’ with an ambitious, sprawling 40 minute piece combining ambient, drone and post classical elements to bolster their melancholic, stirring sound. 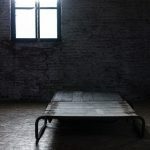 Whilst still perhaps a work in progress ‘Het Laaste Licht’ features enough stunning moments to warrant immediate investigation for fans of Amenra, ISIS, Neurosis et al. 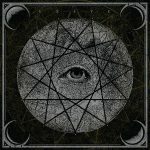 Birmingham industrial metal duo Khost’s latest offering is full of familiar parts – warped Arabic vocals, heaving industrial percussion and relentless crushing guitar alongside spoken word pieces from Eugene Robinson of Oxbox and Syan and cello from Jo Quail – but it’s imbued with a sense of horror and a purpose that elevates it above their earlier work. Italian psych-doom masters Ufomammut’s return to action following their 15th anniversary celebrations sounding somehow more full of energy than ever. 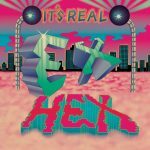 Recorded live in the studio ‘8’ sees them at their sludgiest and most furious, and is as relentless a trip as they’ve ever taken us on. Monarch! have long reigned as one of doom’s most drone heavy outfits, utilising colossal heaviness and hypnotically slow guitar thrumming across typically epic song lengths. On ‘Never Forever’ they add a little more light to the shade and craft perhaps the most distinct album of their career. 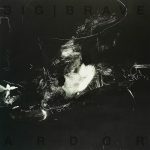 Big|Brave don’t change their formula on Ardor, they just refine it a little, distil its essence down into 3 long tracks. 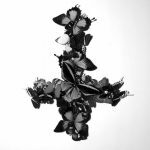 The result is an incredible piece of slow, heavy, emotional metal, a landmark for both the band and heavy music in 2017. 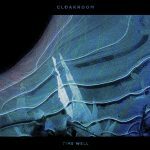 Cloakrooms second record – and first for Relapse Records – is a happy marriage of slowcore despondency and stoner rock heft that hits the sweet spot between sad-sack mopery and soaring, fuzzed out catharsis. 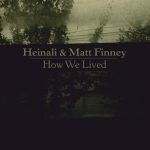 ‘How We Lived’ is the first collaboration by Ukranian multi-instrumentalist Heinali and American spoken word artist Matt Finney since the latter walked away from music in 2011. 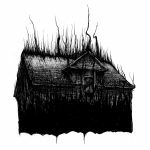 It details the dark years spent in the wilderness and makes for an uncomfortable, but compelling listen. The idea of bass sax virtuoso Colin Stetson forming a metal band with Liturgy’s Greg Fox is intriguing on paper – and surprisingly fun in practice. 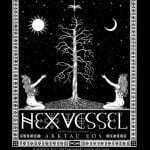 As Ex Eye they explore the possibilities of heaviness together, pushing each other to impressive heights.